It is with deep sadness to let you know that Sandra Weir passed away on January 5th 2015. Sandra was involved with STECS as a rehoming officer for Nellie Holland since the mid nineties. 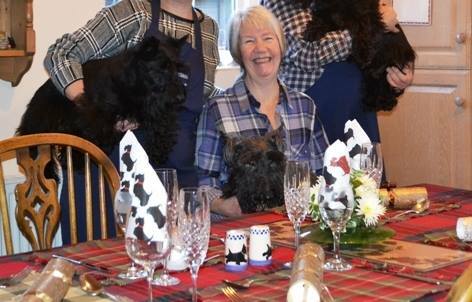 Over the years Sandra has re-homed countless Scotties bringing joy to many people. She will be deeply missed by many friends. The funeral will take place at Anfield Cremetorium on Wednesday 14th January at 1-30pm. No flowers – please if you wish you can make a donation to Macmillan or Cancer Research. The family also request no mourning dress. Such a nice lady, you will be missed. I am so sorry to hear about Sandra she helped me when I lost my precious Scottie Bobbi and put me in touch with Stecs and I rehomed Oscar whom we all love. I send my sympathy to her family.